As a child, Sophia Hooper loved to be active, whether it was tap dancing or playing competitive tennis. She excelled in school, describing herself as a diligent student who loved to learn. Her most prominent memories revolve around sports and friends, two areas where she experienced (and still experiences) lots of joy and happiness. But such is life, sports and friends also brought Sophia pain and insecurity. When she was young, Sophia merely viewed her body as the vessel through which she could serve a tennis ball or shuffle during tap-dancing class. That simple outlook changed when she entered high school. She began to worry about her body shape and size, noticing how she was much taller than her friends and family. She identified certain body parts that she didn’t like and wanted to change. It led her to a serious struggle with body image and confidence. In school, she oftentimes felt out of place and unpopular - worrying about how many friends she had, if she was popular enough, and if others kept in contact with her like they did with each other. 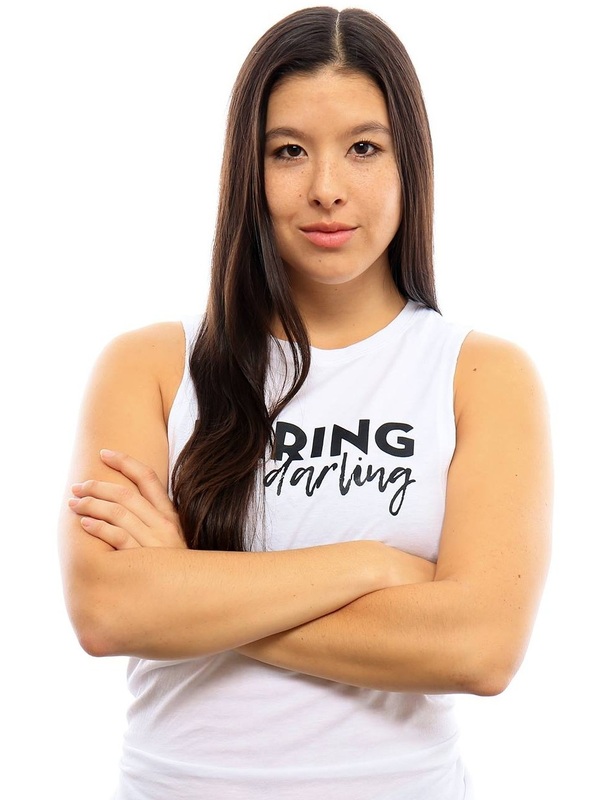 Sophia, the now assistant merchandiser at Athleta, handles all of Movemeant’s graphic design and loves participating in every We Dare to Bare. For Sophia, Movemeant is the community of women she’s always longed for that allows her to be vulnerable and empowered at the same time. Joining together to combat negative self-talk and promote body-positivity, insecurities from Sophia’s childhood give way to overwhelming feelings of love and acceptance. Of course, Sophia is human and she still struggles. However, through working with Movemeant, Sophia is constantly reminded that negative emotions are temporary. tagged with Do it for you. Do it for her.